Bigger isn’t always better, especially when it comes to HVAC systems. Instead, the air conditioning system should be the perfect fit for the space. Find out why an oversized HVAC system is bad news for your Nevada home. An experienced HVAC technician should have a solid understanding of how to design a high-functioning HVAC system that’s sized appropriately for a house. If he or she uses an approximation instead of an accurate Manual J load calculation, however, you could end up with an oversized HVAC system and large energy bills to match. When an HVAC system is oversized, it cools quickly and then shuts off just as quickly. Major appliances like air conditioners use a significant amount of energy to start up, and they must operate until they reach a steady state in order to function efficiently. If the air conditioner continually kicks on for a short period of time, the system never reaches optimal efficiency and instead increases your utility bills. When an air conditioning system regularly short cycles, or starts and stops much more often than it should, it probably won’t ever run smoothly. Though the air conditioner might cool your home, it won’t run long enough to dehumidify the air as well. An HVAC system that’s constantly trying to catch up with itself will require regular repairs, significantly increasing the overall cost of the system. Ultimately, an HVAC system that constantly short cycles and rarely reaches optimal efficiency won’t last as long as a system that works well with the space. Instead of opting for a larger HVAC system, make sure the one you choose is properly sized for your home and your needs. If you go big, you might end up having to invest in a replacement before you know it. Is your HVAC system sized properly for your home? 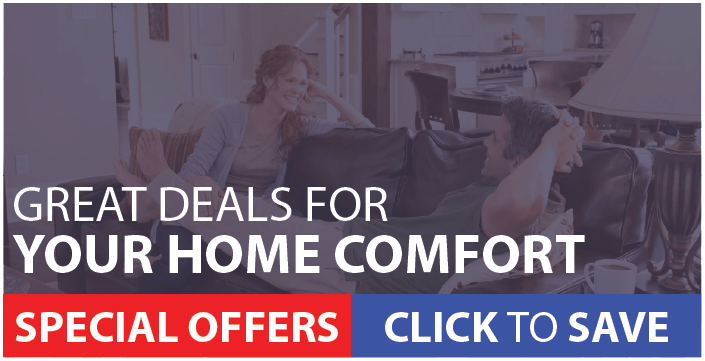 Call the pros at Ambient Edge for an HVAC consultation today: 702-723-4704.